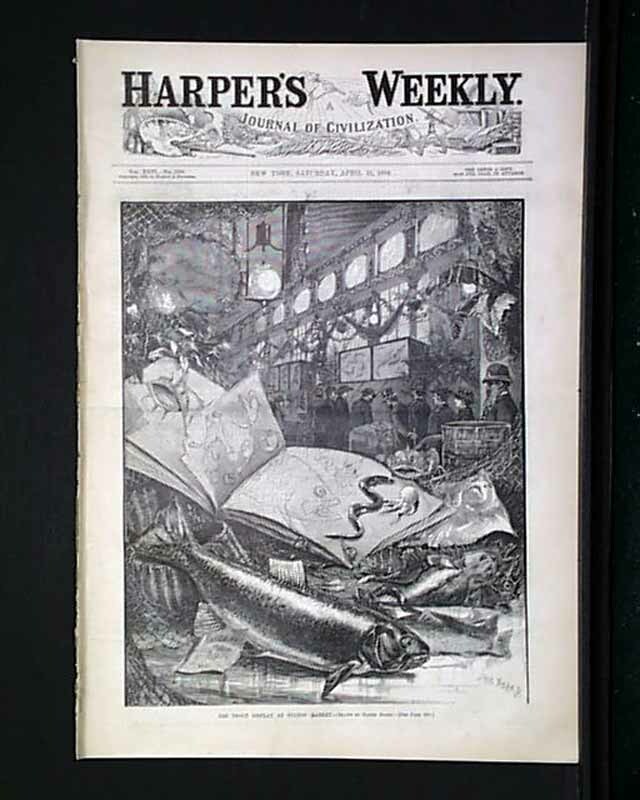 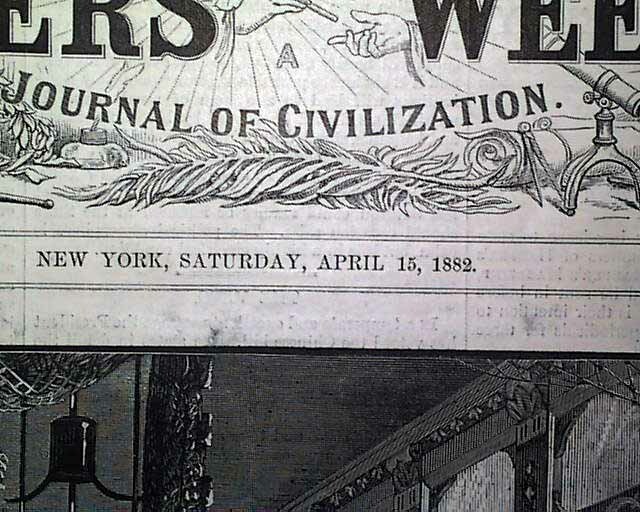 HARPER'S WEEKLY, New York, April 15, 1882 Front page illustration of: "Trout Display at Fulton Market". 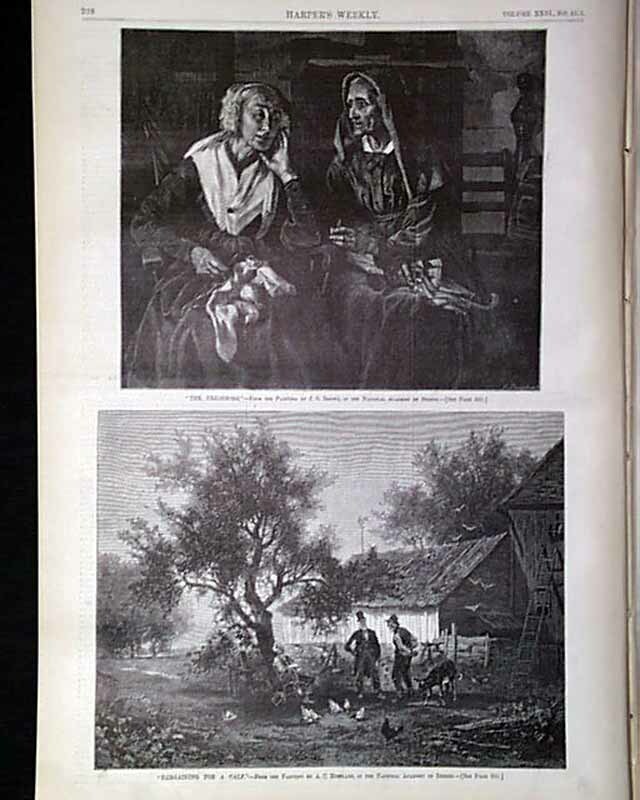 2 half page prints: "The Neighbors" and "Bargaining for a Calf". 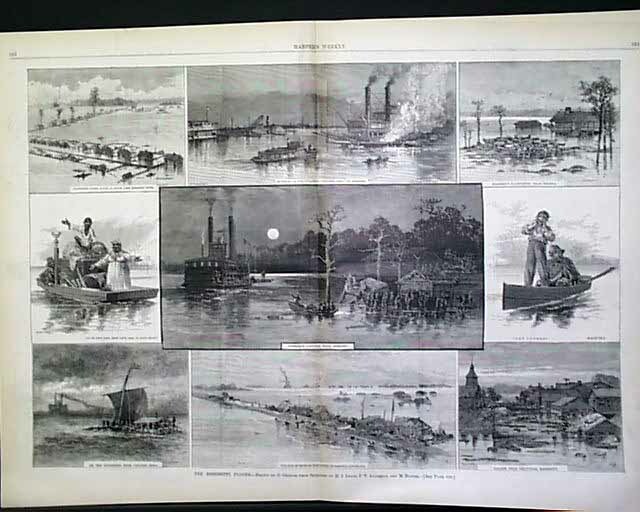 Double page centerfold: "The Mississippi Floods" which shows 9 scenes. 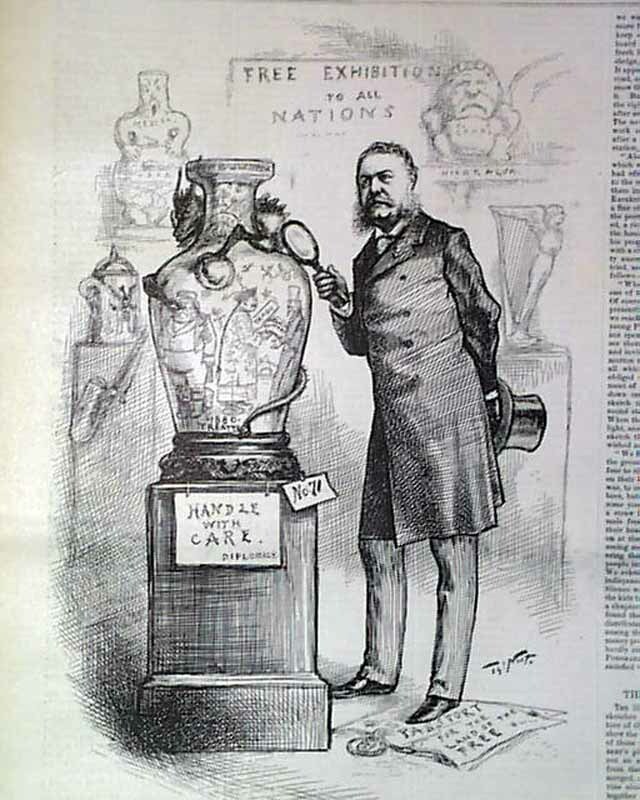 There is a political cartoon by Thomas Nast: "The Veto". 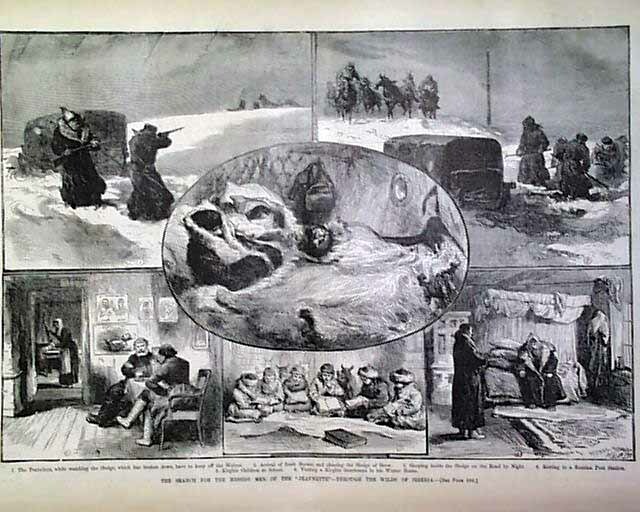 Full page print shows 6 scenes: "The Search for the Missing Men of the 'Jeannette'--Through the Wilds of Siberia" plus much more.